WOW! 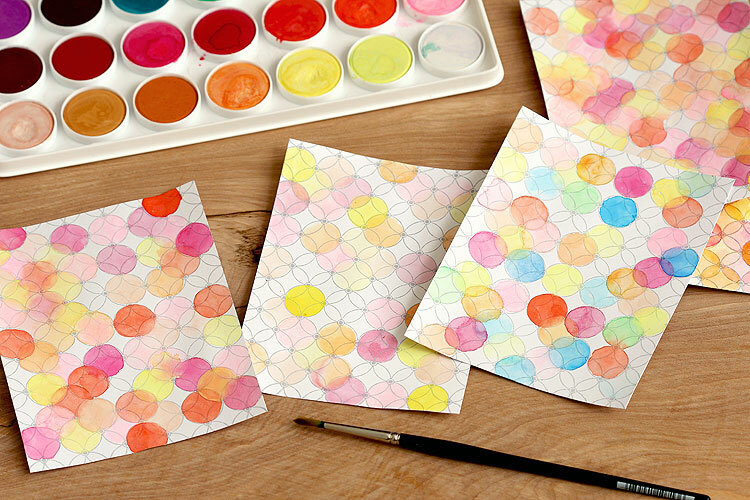 Love these watercolor cards. Perfection! Kristie G. recently posted..Birthday for Color Throwdown & AEI♥U! Great idea on the background and so original on each card! Love the birthday card! Your Aunt will love it. 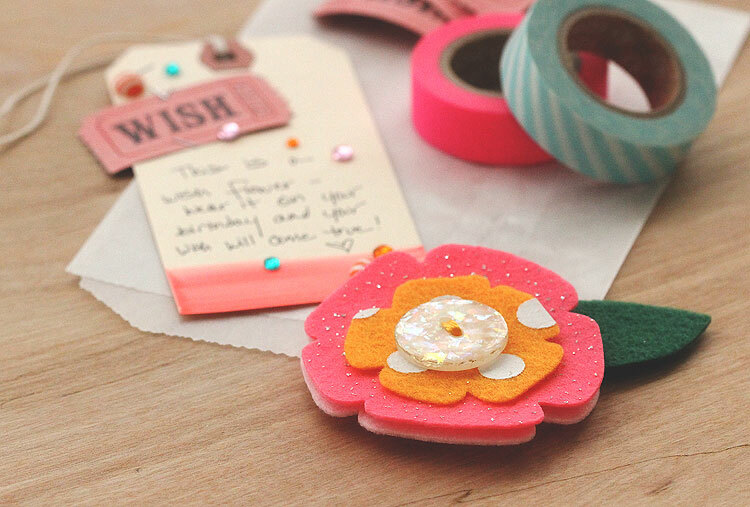 This is lovely, Lisa – makes me want to pull out my stamp and play, too! Thanks for inspiring me! You’re a ‘great’ niece! 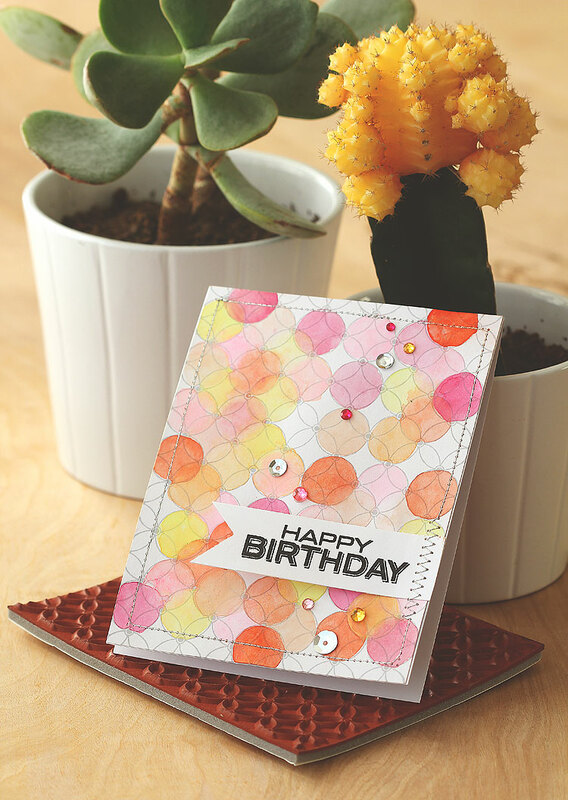 :) These are lovely cards and an inventive use of the Looped Flower background stamp! Thank you for sharing – enjoy a wonderful weekend! Your photography, your cards, your style is hands down top on my list. always innovative, approachable, admirable just plain awesome. Wida recently posted..Trying Some New Challenges! Those colors…. this is so beautiful! I’m so interested in the yellow cactus as well! 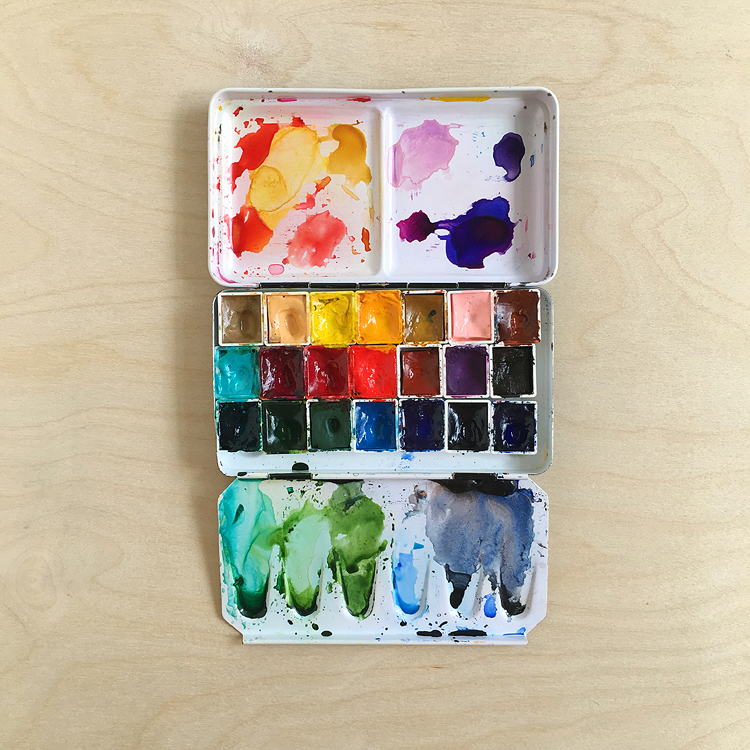 Your water coloring card is definitely easy on the eyes!! What a gorgeous card for your aunt!! I just started a little challenge with the theme “watercolor”! Thanks for the inspiration! Will definitely have to get some watercolor paper to try it out! Love the stitching and bling too! Great minds Lisa–I did something similar with the large Daisy background painting hearts! I love how you used grey as the background color with these circles! Awwww, that is sooo fabulous that you are close to your Great Aunts! I rarely talk to my own Aunts, and I have many of them. You have inspired me. Why do I make cards if I don’t even send cards for my family’s birthdays!?! Off to the scrap room I go.. Sorry, Lisa, got you confused with Virginia and her watercolors. 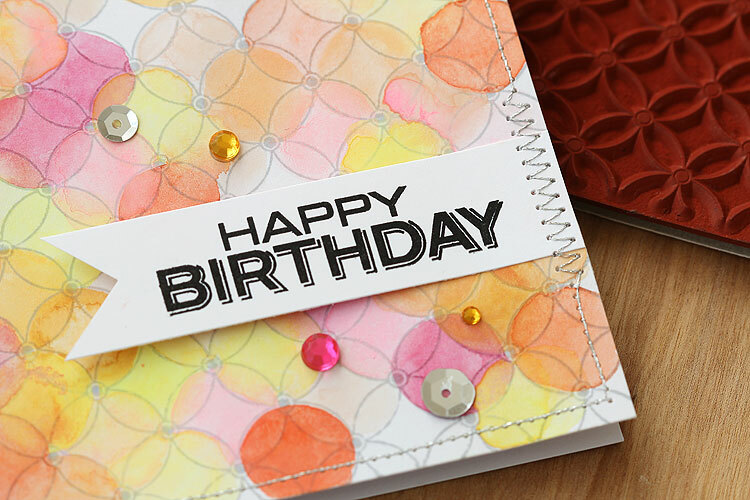 I love these birthday cards, and your blog! I am totally in love with this card! Your cards are perfect to send to your Great Aunts and I’m sure they will love them! 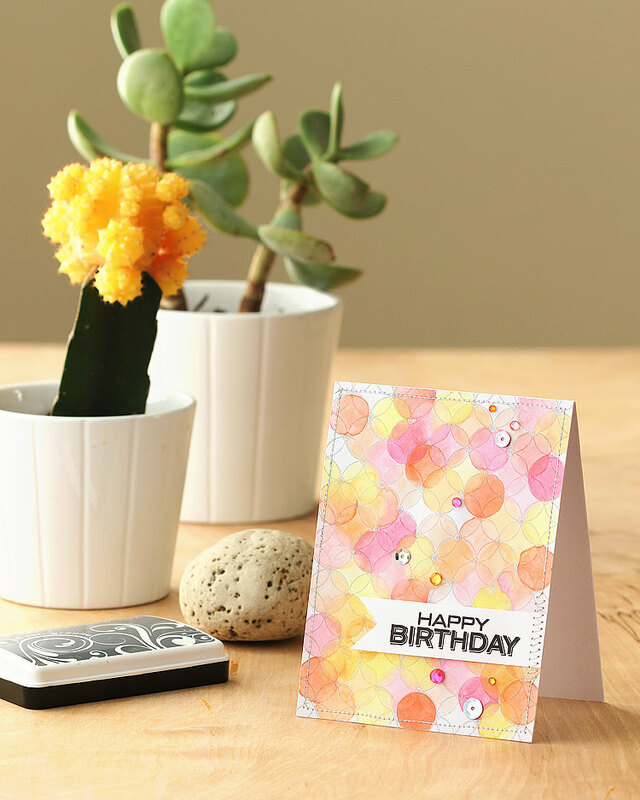 I’m so happy to see the trend with watercolors on cards and love all the inspiration. lovely card and luv the watercoloring! Fabulous card. Just love it. 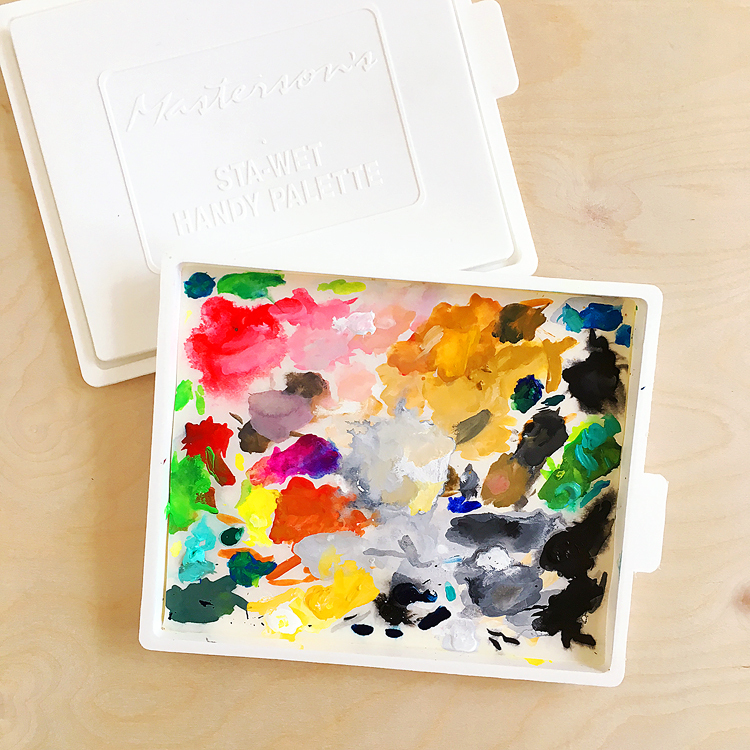 Love these cards, as I love all your watercolor cards… and the other ones too :).